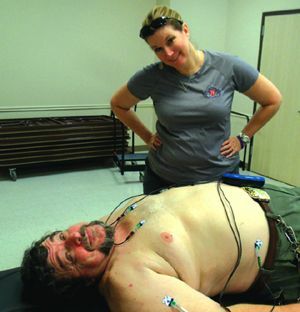 CROSBY  ECG Screenings were done at the Crosby Community Center this Saturday by the Cody Stephens Go Big Or Go Home Memorial Foundation to the general public. The Cody Stephens Go Big Or Go Home Memorial Foundation was begun by Scott and Melody Stephens following the death of their son, Cody, May 6, 2012 to Sudden Cardiac Arrest also called sudden death. When his death occurred only about 5% of Texas schools used ECG screenings in addition to the check ups traditionally used and required by the State U.I.L. committee. Now about 25% of school districts in Texas are using the screenings due to foundations throughout the state. So about 100 people were screened and about 100 tickets are still on sale for this Saturdays event. Saturday, August 27, at 7:00 p.m. until about Midnight at the David H. McNerney American Legion Hall 658 in Crosby the annual fund-raiser is to be held. Tickets are available and tables are still for sale. Tickets are probably going to be available at the door this year. Live Auction items are still being collected. Details for buying tickets are available on the facebook site Cody Stephens Go Big or Go Home Foundation or the website or call Stephens at (713) 451-3600. Previously, this event has been among the best charity events of the year. Leaders from throughout the country and northeast Harris County will be in attendance including the legislature and Harris County. Live auction items include a week stay at a condo in Puerto Vellarta. An axis hunt, sport memorabilia, concerts including Dolly Parton and many more are offered for even the most selective buyers. Catfish on Wheels is catering the event. D.J. Dennis Butterworth will be playing the music. Bill Busby will be the auctioneer. So, one last effort to save young lives will depend on local support this Saturday evening at the David H. McNerney American Legion Hall. The implications stagger the imagination concerning potential and hazzards of a lack of support for a cause that started locally. 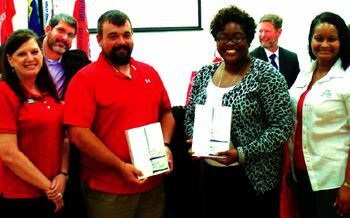 CROSBY  The David H. McNerney American Legion Post 658 on August 17 was packed to capacity as the Crosby-Huffman Chamber of Commerce hosted their 39th Annual New Educators Luncheon. First to speak was Chamber Chairman Dr. Larry Koslovsky, next Kim Harris caught everyone up with the events and updates for the Chamber. Demica Espree spoke of the importance of new educators to the business community. Following that introduction the Superintendents of both Crosby and Huffman spoke to the crowd about their excitement. Dr. Keith Moores entire district is changing in addition to a new high school, the district is starting community schooling it is like opening 5 new schools throughout the district. Dr. Benny Soileau boldly introduced the concepts of under funding from the legislature.